There are so many days in our lives when we feel just like the verse above. 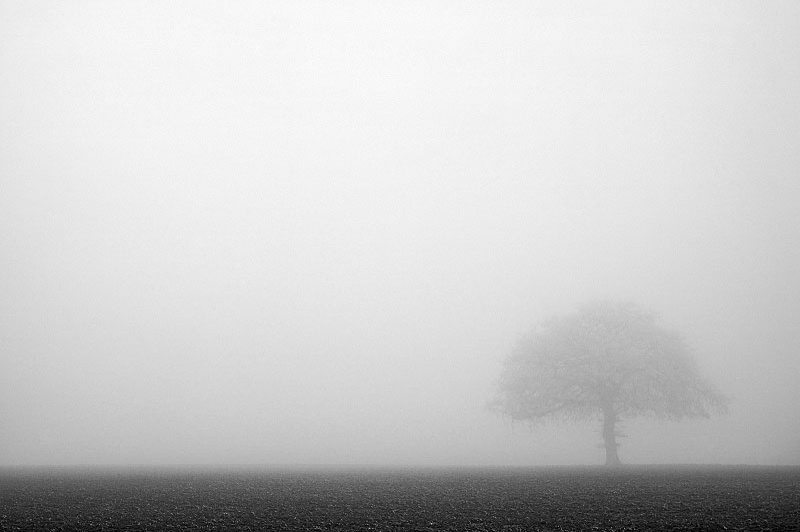 We are standing alone in a fog that consumes our thoughts and our hearts. We frantically search for the path to take but it is obscured by fog. We only see a small sliver of area around us. We feel lost, abandoned, and terrified. Terrified that the fog will never lift. But it is in these moments, there is only one thing to do…reach for God and hold his hand. He sees through the mist and knows exactly where we are going. Today, I’m reposting a blog by Ann Voskamp, fellow blogger and follower of Christ. May you be encouraged to know that the sliver we now see fits perfectly into the divine completion that God controls and takes us on the path that leads straight to Him. When that window shattered into 7 billion pieces, a sliver stuck my heart and maybe a sliver is all we ever have? It wasn’t so much that our farm boy had turned the tractor too sharp. It wasn’t that he’d backed the tractor into the auger of the wagon hitched behind him. It wasn’t even so much that the steel auger had slammed into the full window of the tractor — exploding the glass into a torrent of shards all over our boy, the tractor cab, across the yard. It was the way I saw our boy turn his face, turn away from sharp fist of the moment. It was the way I saw him turn to hide what was slipping down all stinging wet, him more broken than any pane of glass. This entry was posted in blogs, grace, Spiritual Encouragement on May 31, 2012 by aliciachall28.